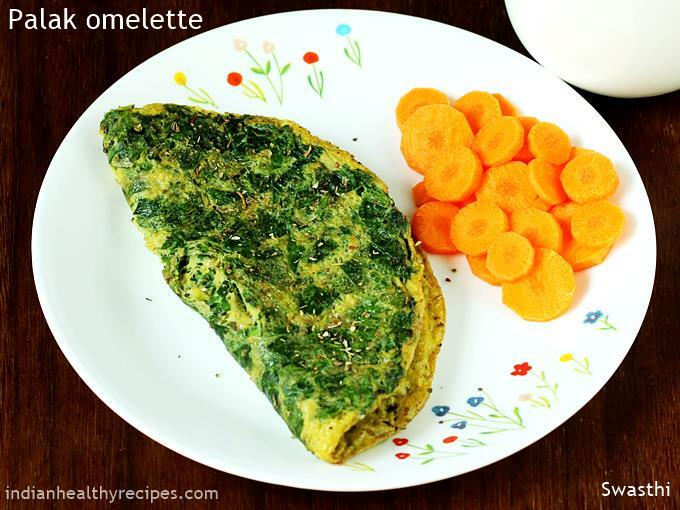 Spinach omelette recipe – Healthy and tasty palak omelet under 10 minutes. 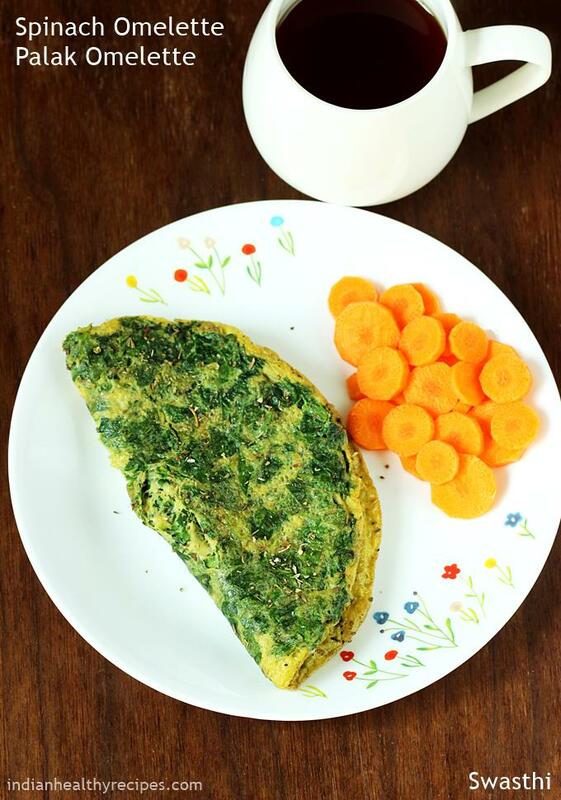 Loaded with protein, iron and vitamins this spinach omelet makes for a amazing breakfast. It can be served alone or with bread, chapati or even as a side in an Indian meal. 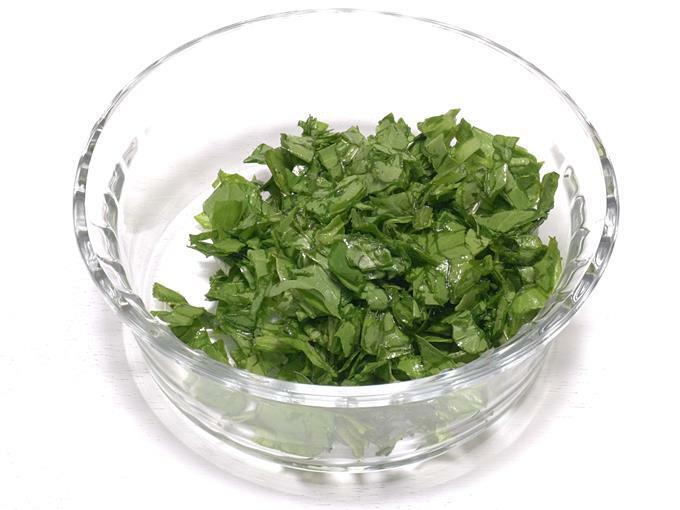 Indian spinach known as palak is often used to make Dal palak, Palak paneer, Palak rice and veggie stir fry recipes. Sometimes my kids’ are too bored with the repeated Palak Recipes I make. 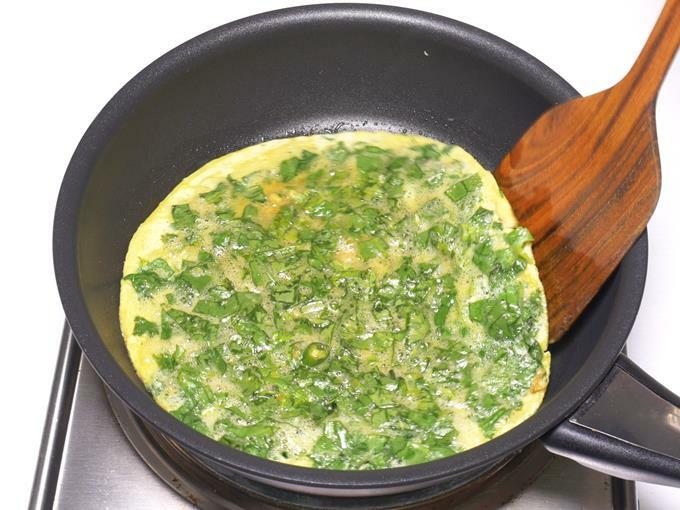 So for a change I make this palak omelet for their breakfast. This will be loved even by fussy kids as it tastes good and is appealing. You can also make a sandwich or a Kathi roll using this. I have not used cheese here, but you can use it. 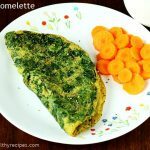 Simple, delicious and healthy spinach omelette recipe. This is apt to serve for a breakfast or as a side in a meal. 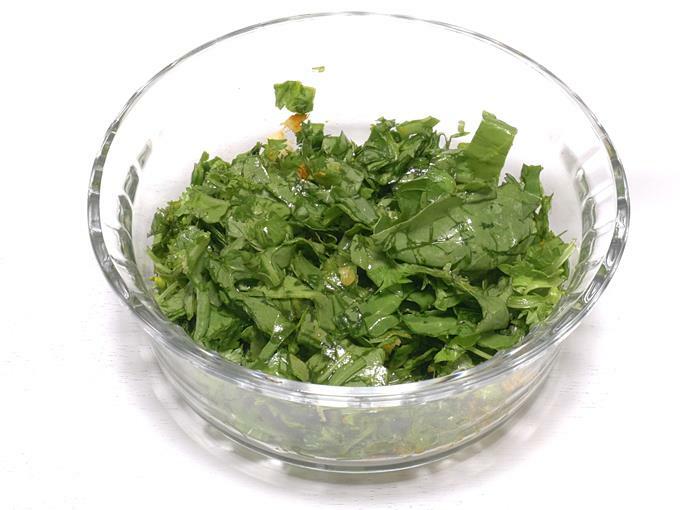 Wash spinach and coriander leaves in lot of water and drain. Chop them finely along with onions and chilies. If using ginger mince it or grate it. Break the eggs to a bowl. 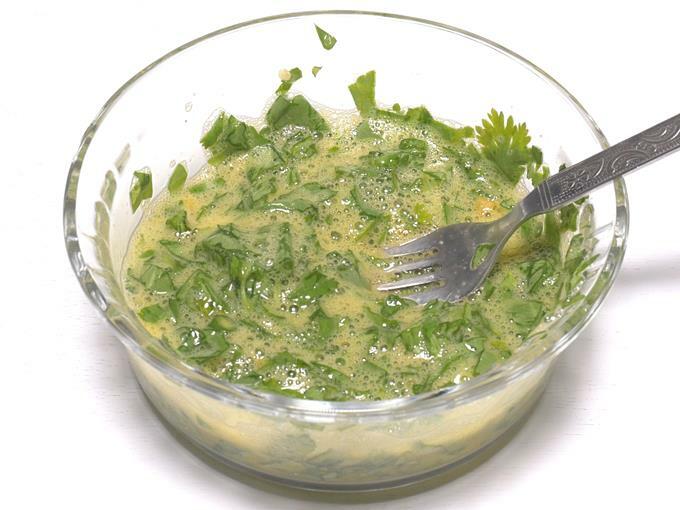 Add chopped spinach, coriander leaves, onions, salt, cumin, ginger, turmeric, and green chili. Beat all of them together until the eggs turn frothy. Heat a pan and add oil. Spread it well to coat the pan evenly with oil. When the pan is hot enough, pour the mixture evenly. 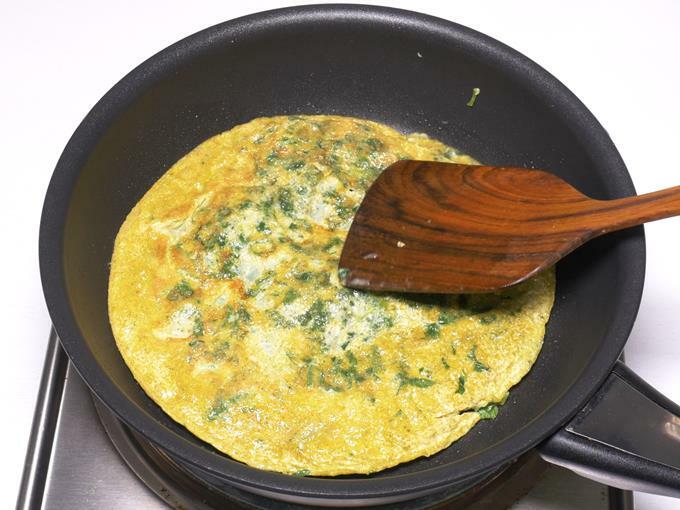 If needed spread the spinach over the egg. Cook on a medium heat until the base is set and firm. 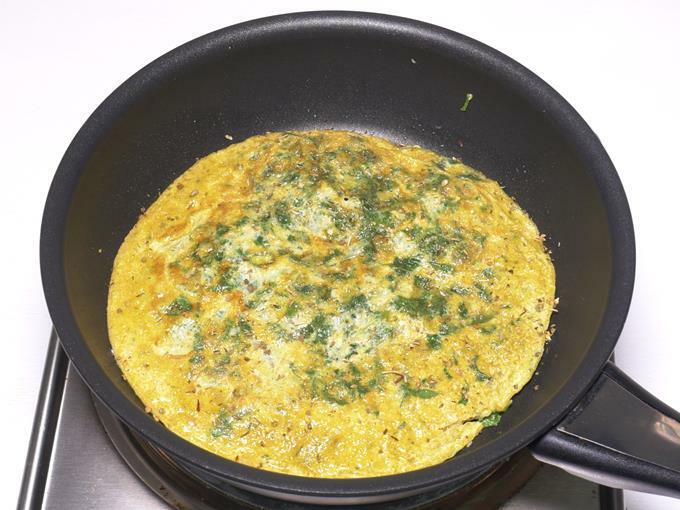 Flip it and cook until the eggs are cooked completely. 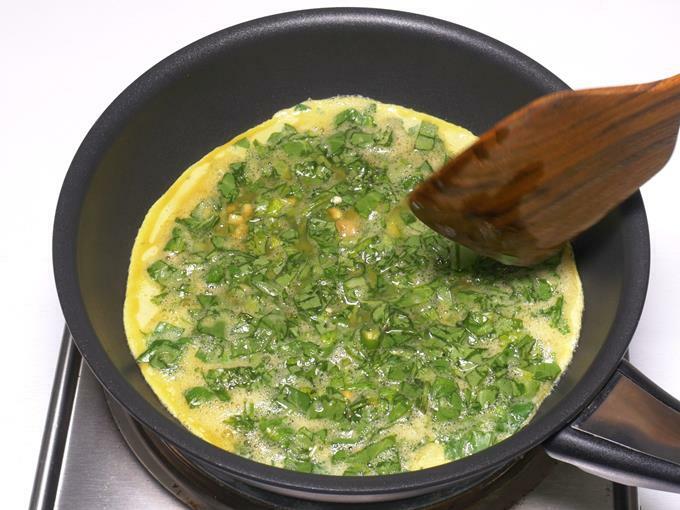 Serve spinach omelette hot. If desired sprinkle Italian herbs and crushed pepper. 1. 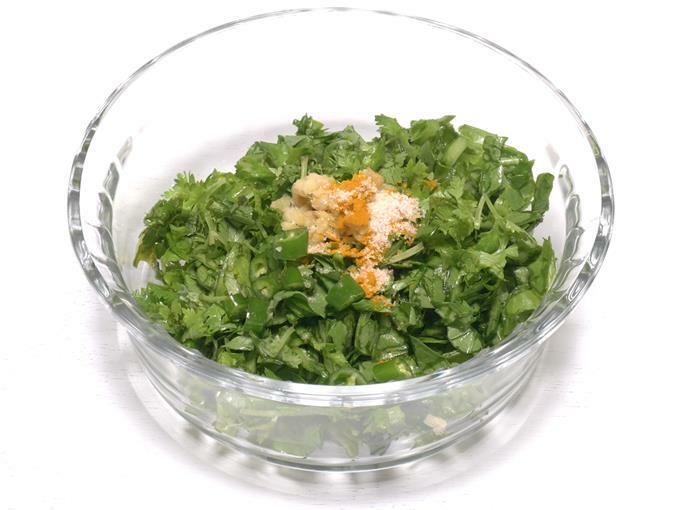 Pluck spinach and coriander leaves. Wash them in a large pot of water. Drain them completely. Chop them along with chilies and onions if using. Grate or mince ginger. 2. Add them to a bowl. 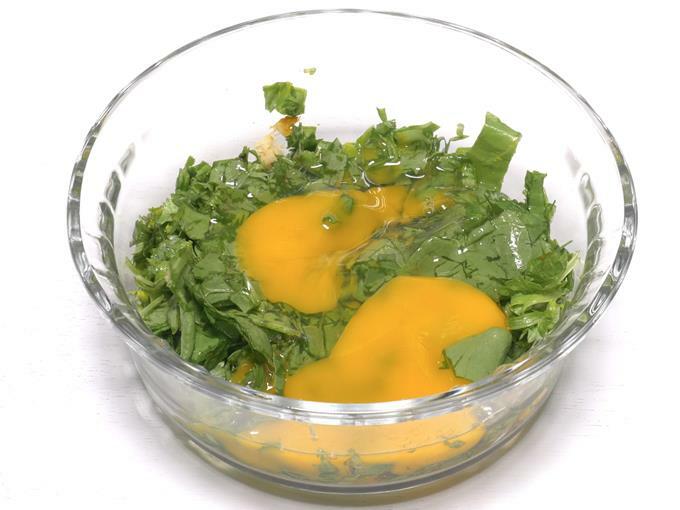 You can also break the eggs to the bowl first, then add the other ingredients. 3. Add salt, turmeric and ginger. If you do not like ginger just skip it. 7. 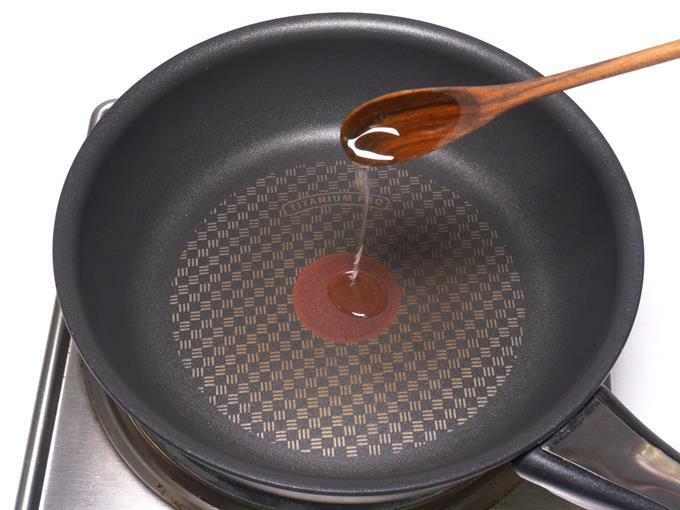 Heat a pan with oil, ghee or butter. 8. Pour the egg mixture. Spread the spinach to the edges. 9. When the base is set, flip it. 10. Cook it until completely done on both the sides. 11. Sprinkle oregano and pepper if you like. You can also add some grated cheese if you like.